Connected devices are tremendously convenient. Smart thermostats set the perfect temperature without you having to carefully program in your home schedule. Smart security cameras keep an eye on our homes to keep us safe. So the question is whether these devices themselves are secure — and unfortunately, the answer is often "no." Lots of manufacturers make smart home devices, and some of them are more interested in advertising splashy features than they are in making sure their devices are secure. When you connect a device to the internet — whether it's your computer or your coffee pot — it's potentially vulnerable to hackers. We're used to keeping our computers and smartphones safe by installing the latest security updates and making sure they have strong passwords and other security measures in place. But we often don't consider doing things like this for our connected gadgets. (After all, who thinks about setting a password for their smart slow cooker?) However, it's crucial to have strong security on any device you have connected to the internet. 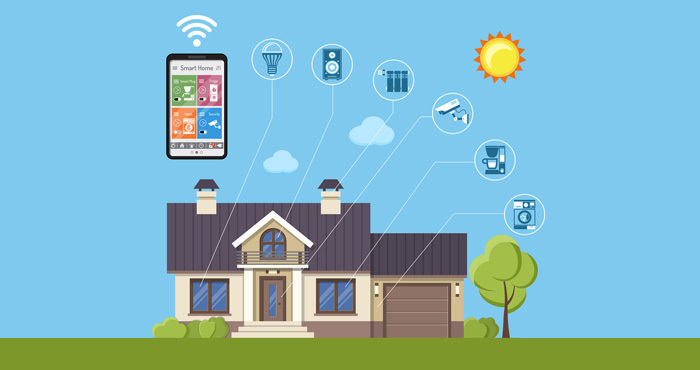 Otherwise, your devices (and the personal information they hold) could be easily accessed by a hacker, handing over control of your smart home to a stranger. A single vulnerable device can enable a hacker to gain access to other devices on your network, where they could steal information or install malware. Breaking into your smart home devices is easier than you'd think. Many of our connected gadgets come configured with a default password (or no password), which lets you set them up quickly. But once those gadgets are set up, most of us don't bother to change the default passwords. Making matters worse, those default passwords can be easily found using a simple web search. That makes it simple for anyone to connect to your smart home devices even if they don't have any hacking skills. So how can you keep yourself safe? Start by making sure all of your smart home devices have a strong password. You'll also want to keep your smart home devices updated with any security patches available, which can address vulnerabilities hackers might exploit. If your device can do automatic security updates, make sure the feature is enabled. Check your product documentation to find out how, as the process will be different for every device. If you can't change the password — and, yes, some devices simply won't give you the option — it's time to think about other security measures. 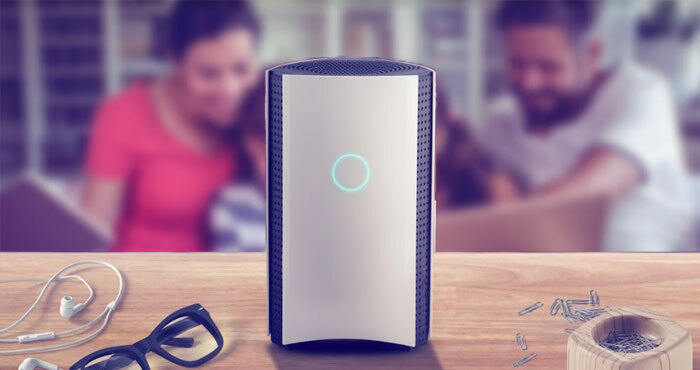 While you may already have a home router that your internet provider set up to get you online, you can buy third-party routers specifically designed to protect your smart home. These devices stand between your home network and the internet at large, keeping an eye on any traffic that comes and goes. If they see anything suspicious, they can shut down the threat before anything happens. Our favorites in this category are the Bitdefender Box 2 ($199.99 on Amazon) and the Norton Core Router ($193.57 on Amazon). Both devices require an annual subscription (included for the first year) to keep them up to date. Think of them like an antivirus system for your whole smart home, always monitoring to be sure your home is safe from the latest digital threats. And it bears repeating: regardless of whether you invest in a new router to protect your IoT devices, change your passwords. Changing your passwords is relatively simple, and it will go a long way to securing your smart home.